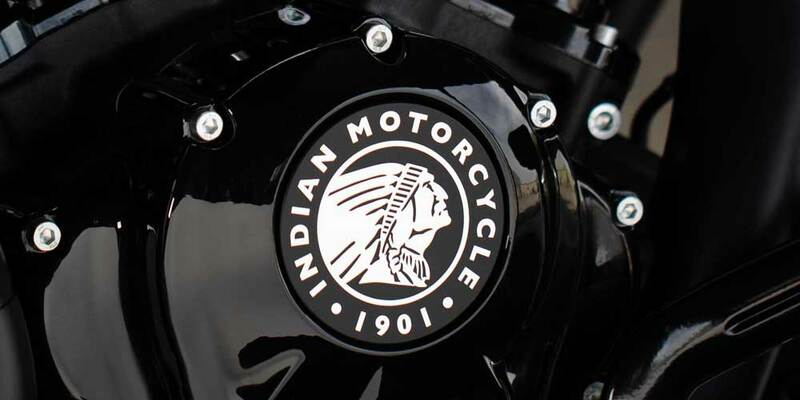 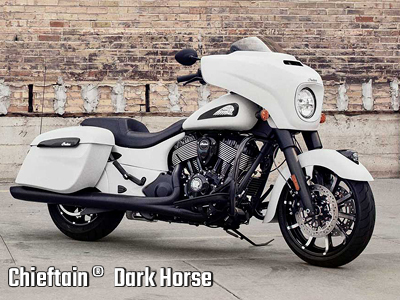 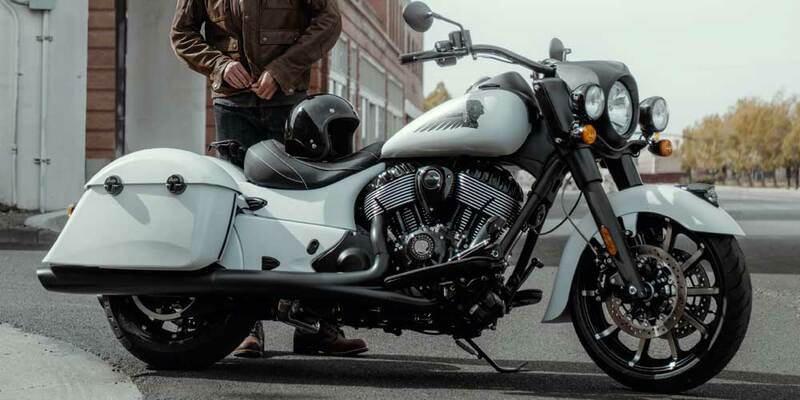 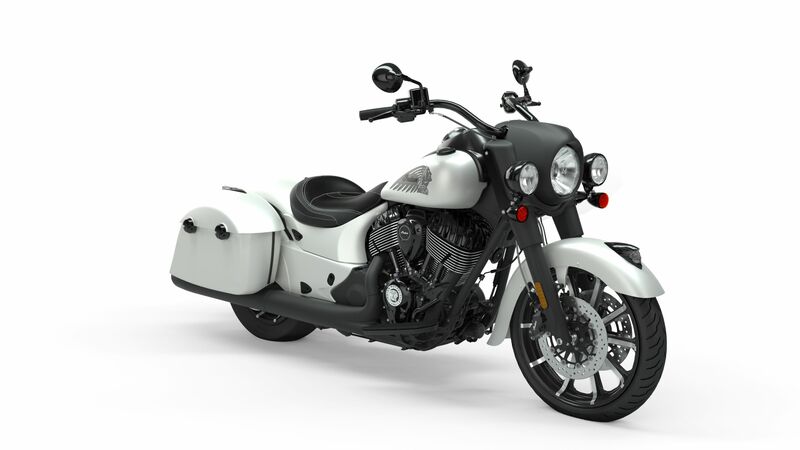 The Indian Springfield® Dark Horse® family has expanded to include a White Smoke option in addition to the original Thunder Black Smoke option. 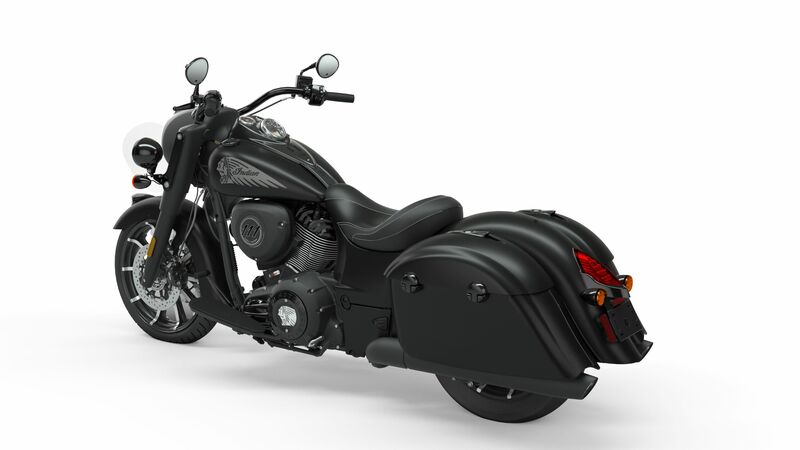 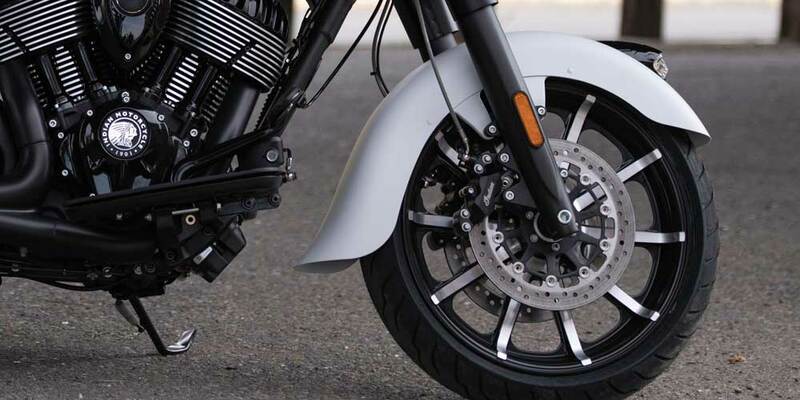 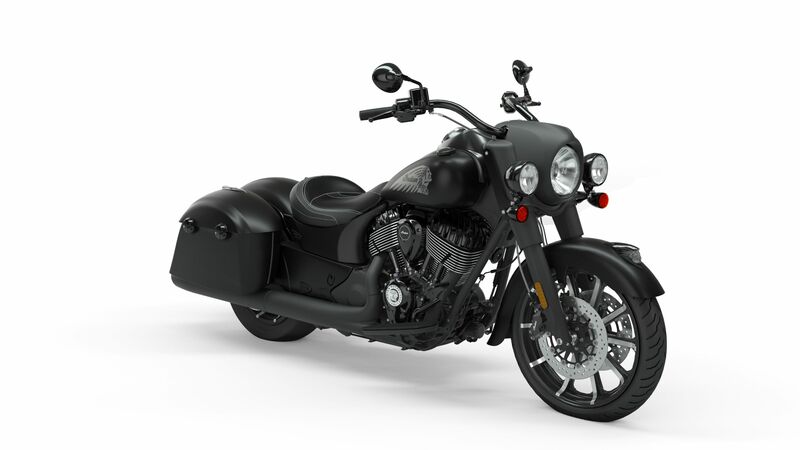 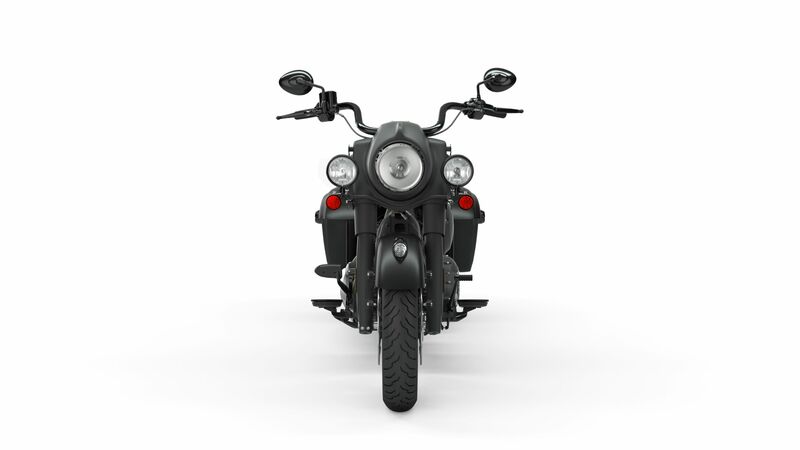 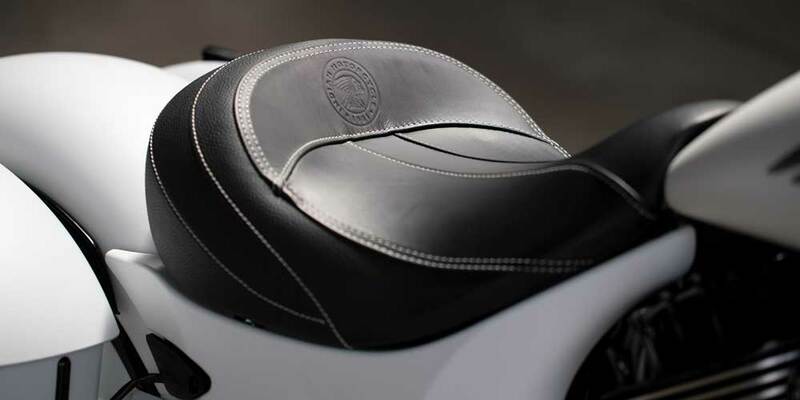 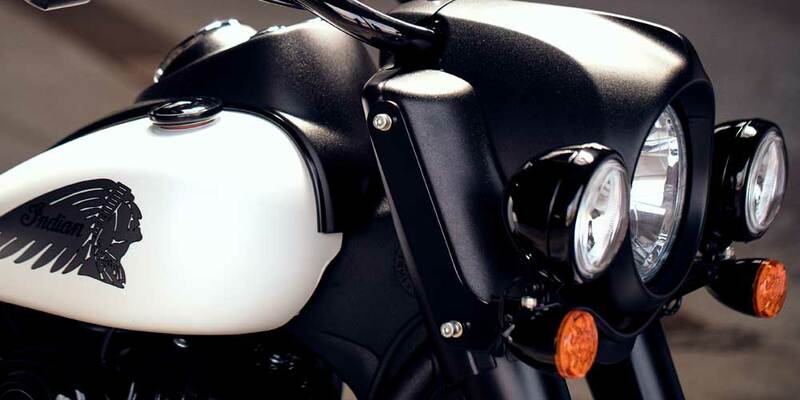 Both options boast premium gloss black finishes on the engine’s primary, valve, and cam covers, push-rod tubes, as well as on the exhaust and saddlebag hinges. 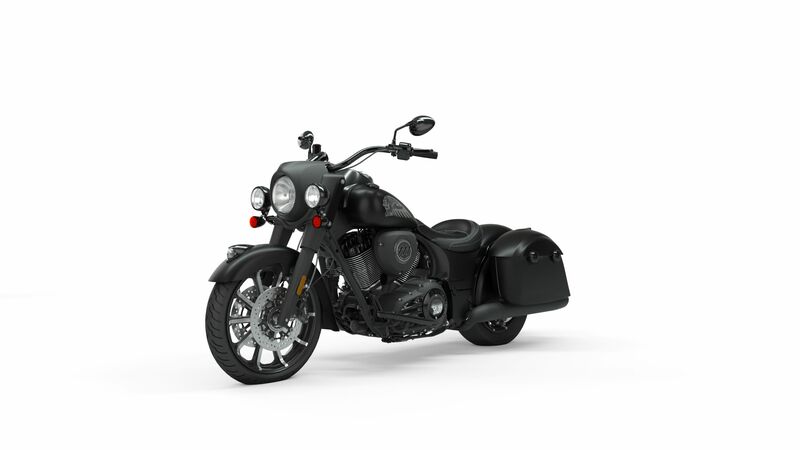 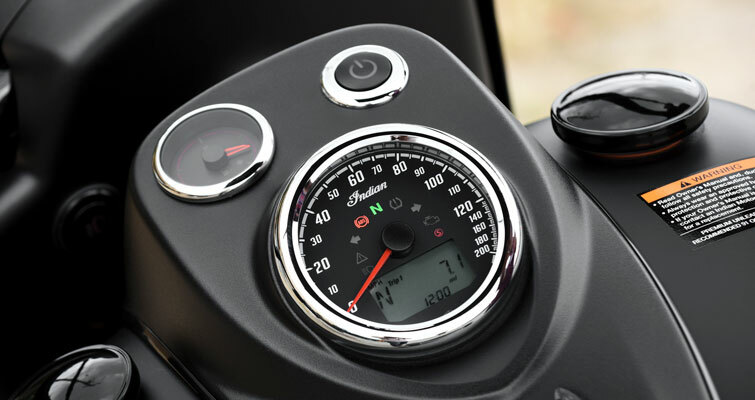 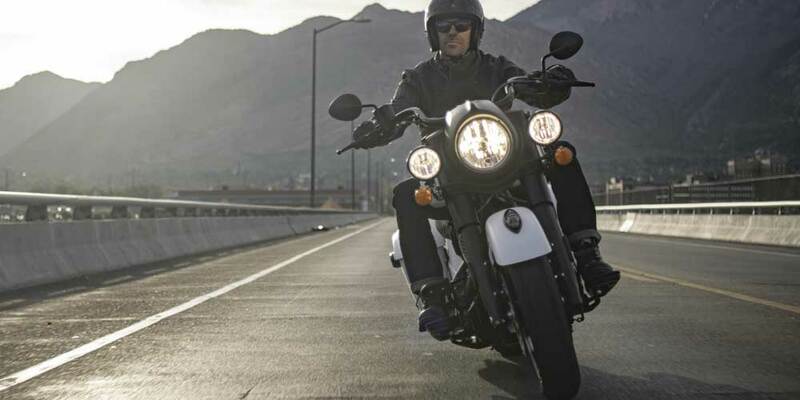 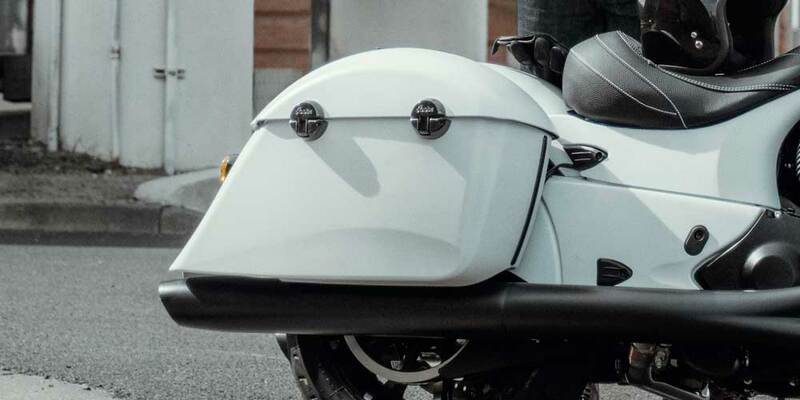 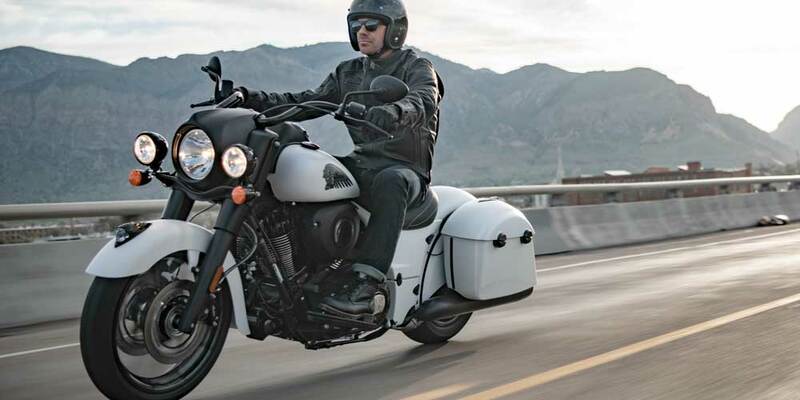 Standard features include Ride Modes, Rear Cylinder Deactivation, remote-locking saddlebags, ABS, cruise control, keyless ignition and tire pressure monitoring. 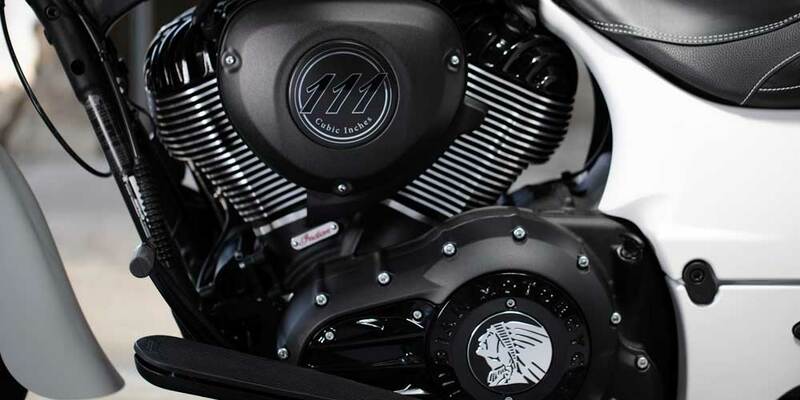 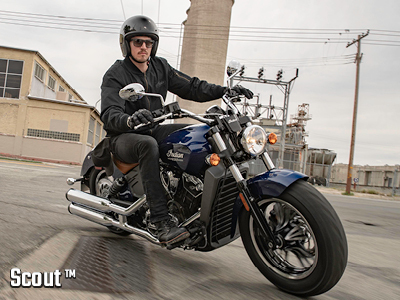 The iconic Thunder Stroke 111 delivers 119 ft-lbs of torque for exceptional acceleration and power. 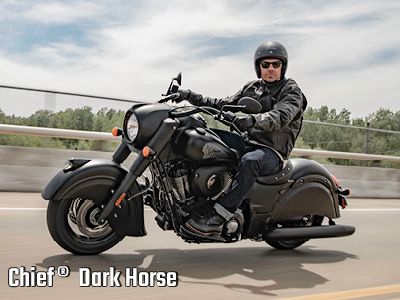 With a lightweight cast aluminium frame and optimized touring architecture, the Springfield Dark Horse handles easily with effortless balance. 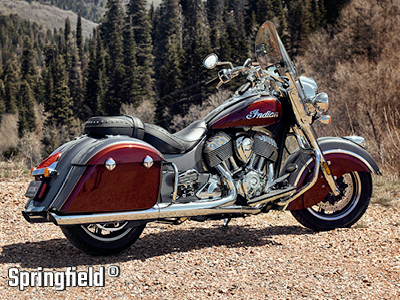 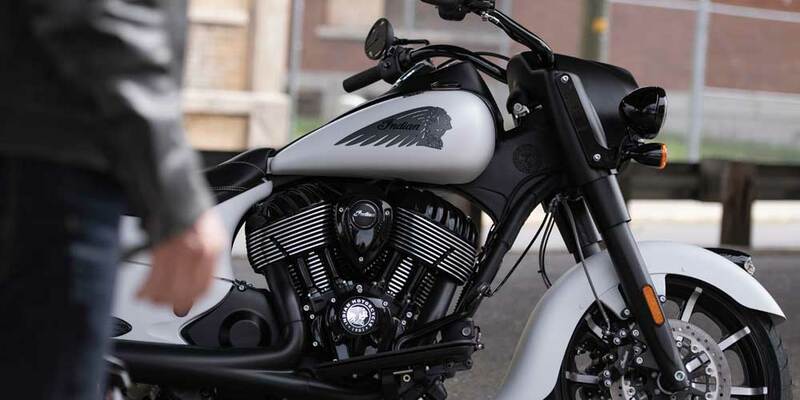 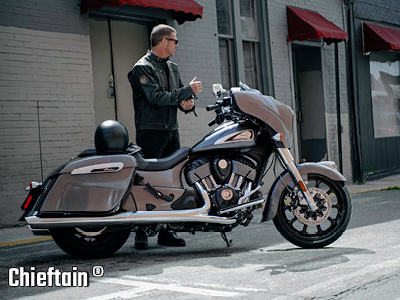 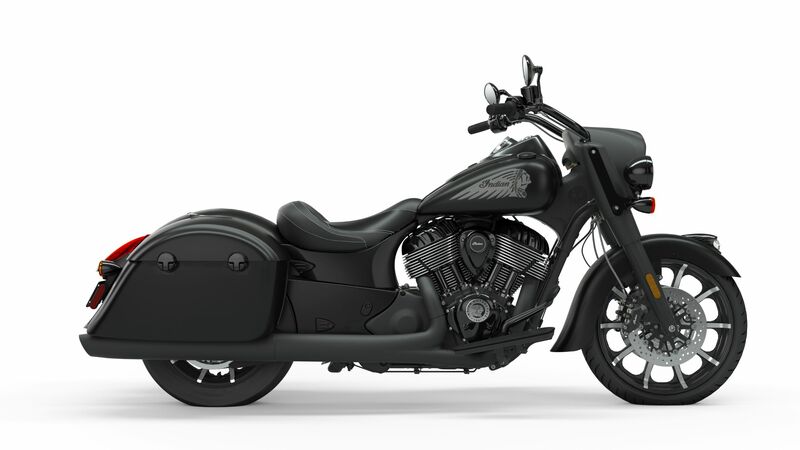 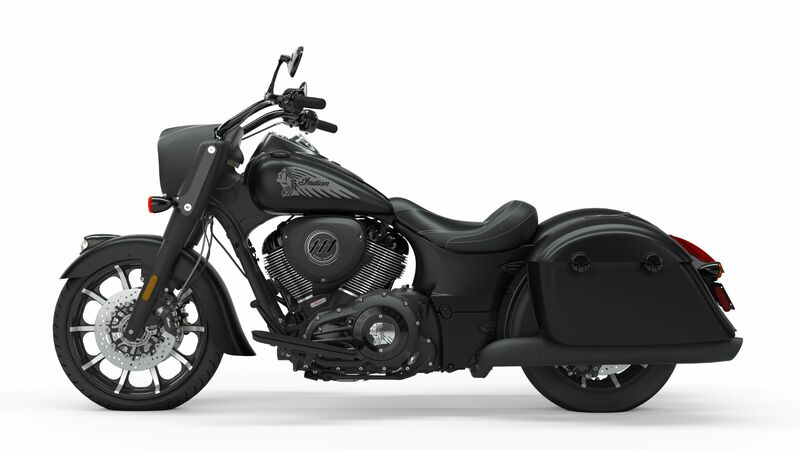 With all of its styling and design, The Indian Springfield Dark Horse is made to make a strong statement. 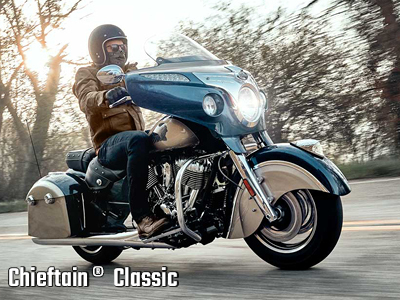 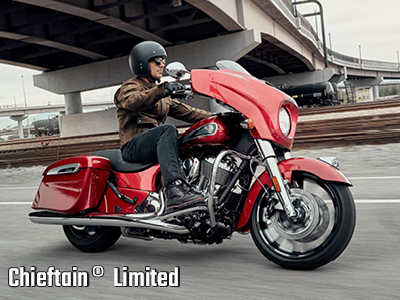 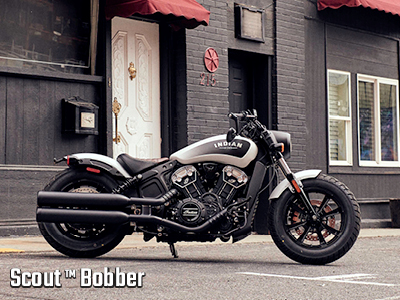 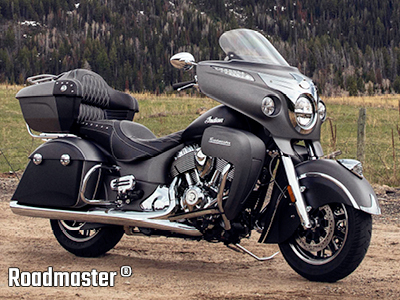 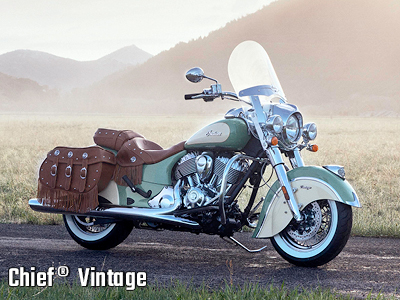 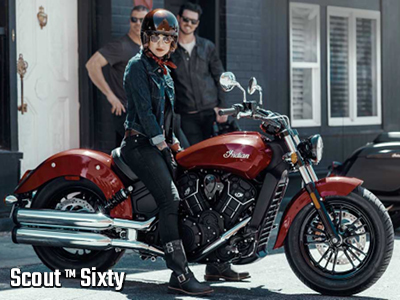 An open front fender exposes a 19” 10-spoke contrast-cut wheel with the iconic Indian headdress leading the way. 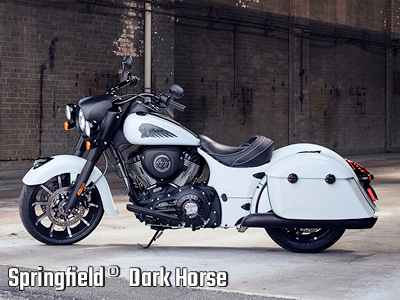 Loaded with advanced technology and features, the Springfield Dark Horse combines modern convenience with unmistakable style. 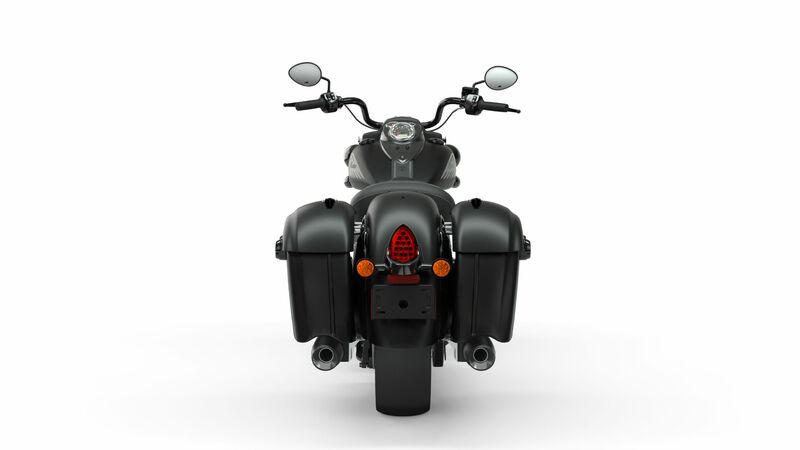 Now you can choose between three ride modes, Tour, Standard and Sport, for an experience that’s customized to your riding style.